It’s time to add pop of colours and additional storage to your fridge! With a unique design, our Extendable Fridge Sliding Organizer helps your to maximise space in your fridge while improving accessibility. To use, simply slide and you are done! 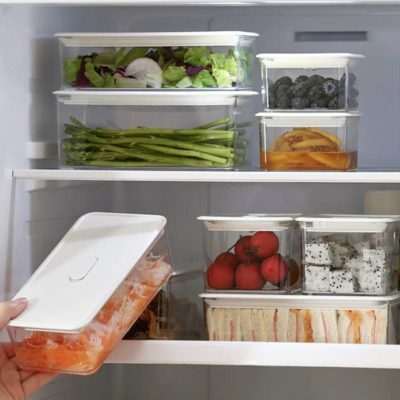 Our Freshly Food Containers is perfect for storing your favourite left-overs and snacks in the fridge! As its name suggests, it features a unique air tight sealer to keep your food fresh. Simply depress the sealer at the top of the cover to keep the container air tights. To open, lift up the sealer to remove the lid easily. 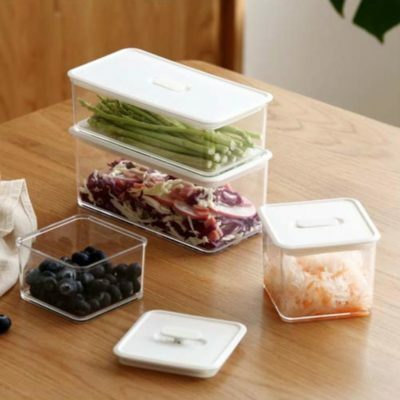 Store your food easily and freshly with us today! Limited Promo: Save 10% with a 4pc promo set! Enjoy convenience by your sink with our Over-the-sink Extendable Colander that comes in 3 warm colours for any kitchen design. It is the perfect handy kitchen tool that makes food preparation easier and faster! With its extendable arms, stretch it over any sink length to rinse fruits and vegetables all at once. Also, it doubles up as a dish and drying rack for your dining essentials too. Just as its name suggests, our Classy Cosmetics Mirror features a minimalistic design that will look gorgeous on any desk! Light-weight, you may lift it up easily for a close-up view – perfect for doing your eye-lashes. Besides, it also features a kick stand, allowing you to use it in portrait or landscape mode. Now, applying your make-up has never been more effortless and enjoyable!